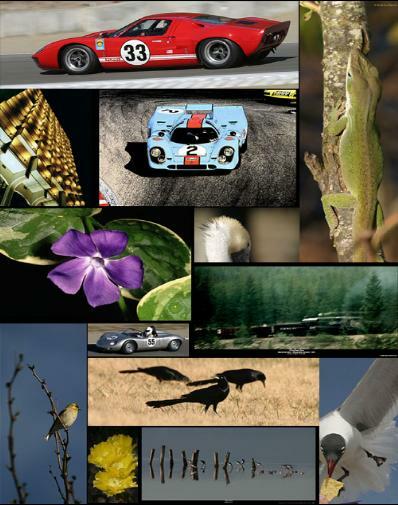 The images selected for prints in this website are chosen for their appeal as photographic art to be displayed on a wall of a house or business. This is not intended to be a stock photography site. There would be thousands of images on this site if the focus was on publishing. And while we present conservation information on several pages, this is not the focus of this site. Some of the poses that birds are in on these pages are depicting behaviors I have never seen before or since. Most images are selected for the personality of the subject. The focus of this site is to present humorous, beautiful, or interesting pictures of various subjects that you will want on your wall. Hopefully, we can provide that. There are many beautiful or interesting subjects in magazines that I have found that most people are really not interested in displaying on the walls of their house. For instance, most people would not want to stare at an angry nest of paper wasps, all staring straight at the photographer (and, in essence, you), ready to attack. Nor would most people wish to display pictures of a hapless egret being attacked and eaten by an alligator. Most don't even really want a large picture of an alligator on their wall. I have all these, and many more. I have many views of hundreds of subjects that are unlikely to ever make it to these pages, not due to a technical or artistic factor, just simply because of low demand for a subject in general as a display print. Ironically, we have found that greater interest is in more common or recognizable the subjects. That does not mean the subject is actually common, just commonly recognized. Most people will not see flamingos or penguins in the wild, but they recognize them. Like brown pelicans (which are endangered), they have personality. However, some common birds, such as cardinals have frequent requests. Other rather stunning birds, common to certain areas, but rarely seen, such as most warblers, draw little interest. Conversely, painted buntings, a stunning North American exotic bird that is rarely seen, are often requested. Likewise, most people don't own, or have seen "in the flesh" a Ford GT40 or a Porsche 917, but most have seen one in print. Our goal in to provide subjects like this big, bold and stunning. Therefore, if you are seriously interested in something that is not shown on these pages, please do not assume that I do not have anything. Please email me with your interest. I may be able to fill a special order. It may take some time for something to show up on the website, but if I perceive there is not interest in the subject it may never show up here. I have a constant backlog of editing, and could actually put hundreds more images up at any time, but I consider this would just be way too much to look at. Even with over 200 images, with hundreds more variations provided, there already is more on this site than I originally expected, with much more to come. I have loved being in nature since I was a child. I seem to get along with most animals, never wear camouflage, and have rarely even been in a blind. Frankly, most of my subjects know I’m there. I get the shot by working up a level of trust. That is how I get close enough to shoot tight portraits of birds and other creatures. I’ve had wild ducks stand in my hand. I had a California ground squirrel fall asleep in my lap, and once had a flock of sandpipers seek protection from a hawk by huddling close to me in my kayak. Through my pictures, I hope that others will see the beauty in nature that I do. Most people will never see the detail in nature that is presented in these images, even up close. I do not add anything to a scene or subject. My nature photography is “straight”. You are seeing what I saw. Cropping and tonal qualities to correct for the limitations of digital sensors or scanning are all that is generally done. I do reserve the right to take something out that doesn’t belong. What I mean by this is something like an ugly post in front of an historic building. I have done that when I couldn’t avoid it from my field of view. My racing photography very occasionally uses half tone or other effects, many of which I did on enlargers 20 years ago. I am not a true “purist”. If art photographers were really “purists”, we would all be shooting on glass plates. (And artists would only be using charcoal and raw natural dyes – no paint.) That is fine if one wishes to do that, but it really has nothing to do with art or the purity of art. I use the best process I can to achieve the best print. The important part of photography is the print, and as Ansel Adams said, “The print is king”. It is. Nobody really wants to look at art on a computer. For most, it’s just not easy or comfortable to contemplate that way. And a photograph is a unique slice of time.